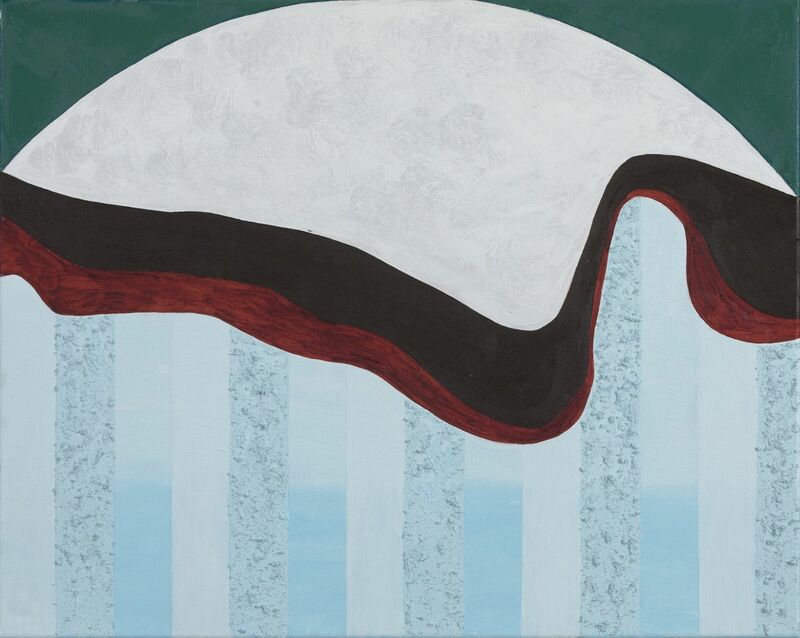 This September, The Redfern Gallery will present a new series of paintings by Catharine Armitage. Armitage has lived and worked near Penzance in Cornwall for fifty years. 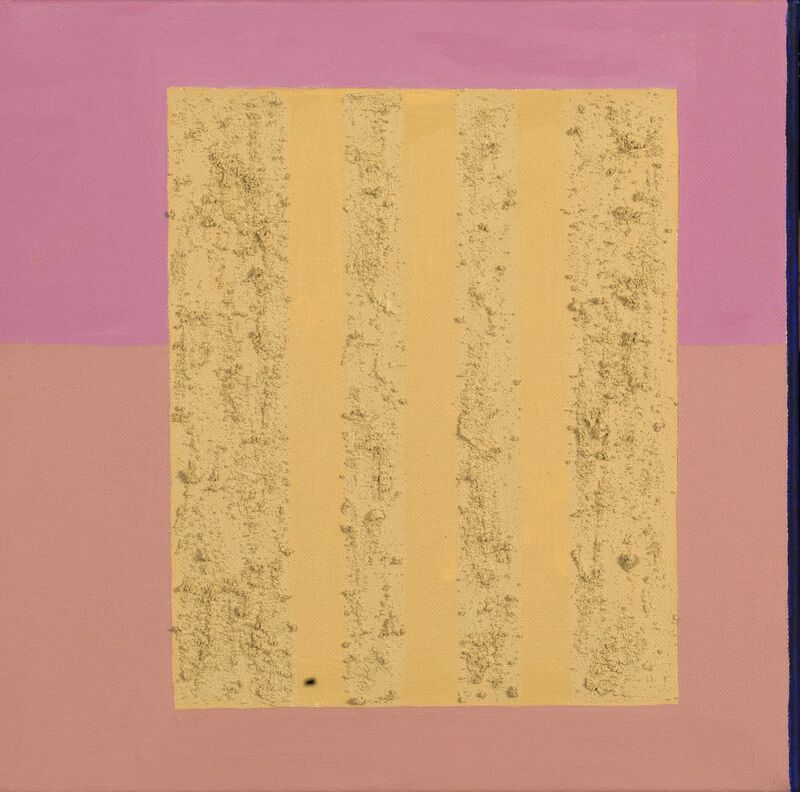 Like her late husband Paul Feiler, Armitage finds inspiration from her surroundings, and is often drawn to glimpsed views or distorted perspectives. Her observations are distilled into abstract shapes, contrasting organic and geometric forms: an Arp-esque landscape viewed through the basic structure of a window or door frame; the linear formation of a frozen lake or parallel rows of icicles on a railing; a particular colour or shape partially glimpsed through the slats of a wooden gate; or the simple contrast of light and shadow on walls and doors. This exhibition will run concurrently with a large-scale retrospective of Paul Feiler’s paintings, works on paper and prints, entitled Paul Feiler, Elusive Space: A Centenary Retrospective, also opening on 26 September. 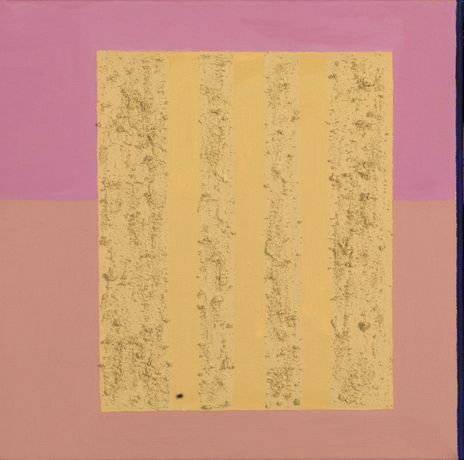 This joint exhibition follows Paul Feiler: One Hundred Years at the Jerwood Gallery, Hastings, which ended in July. It was Armitage’s association with the artist Paul Feiler, with whom she shared her life beginning in 1966, which triggered the greatest advances in her developing approach. In her discussion with him about painting and, especially her own painting, she began to free herself from the issues of naturalistic representation that had predominated in her earliest work in favour of the acknowledgement of the functions and basics of painterly relationships: what actually happens between forms and colours on the surface, and how these elements interact with or even create space.